SPORAH TV: WHO IS ON THE SPORAH SHOW THIS MONDAY ? CHECK IT OUT ...! WHO IS ON THE SPORAH SHOW THIS MONDAY ? CHECK IT OUT ...! I will call u a Musician as of now but brieflly take me back to the beginning how did it start? I started when i was really young, singing in church Sunday school and at times performing on events but i never took it serious until 2006 when i was inspired by a Ugandan Musician called Irene. Leila your a mother, how did that changed you? I understand that your husband is also a singer, how do you manage yourselves? We just create time to ourselves, no pressure, as it's just a hobby to us, we just love to sing. Do u also collaborate with others in the industry? Yes we do, like recently we come together like all stars in one song which will be out soon. Welcome to The Sporah Show Guys..! Dorian Graze is a band of Three, Young Nice Looking Men, Full of talent and energy. With a beautiful smile too @ Sporah. Steve, Mark and Chris who make The Dorian Graze. Nice names guys, so how did it all start? Where you friends before OR..! 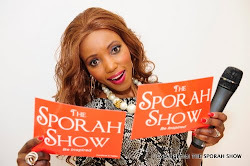 Its a looooong Story Sporah, I will tell you On THE SPORAH SHOW this Monday 10:30pm on BEN SKY 184. So DON'T MISS OUT. For now, Hold on to This Exclusive CD from Dorian Graze. It's Called "IN THE FRAME"
Lets put Our Signatures on it, Special for you. Time to share From DORIAN GRAZE. Thank you boys, BUT In my country men bow down sometimes..! This is what am talking about..! Hey Chris, what does your Tattoo said.? ITS NOT THE DESTINATION ITS THE JOURNEY THAT MATTERS. Okay, so ITS THE JOURNEY THAT MATTERS..! Love That. Then Kris King and Damian Knowles of the Ingeny music ltd joined The Sporah Show. Thank you so much guys to be on THE SPORAH SHOW. Thank you Sporah for having us. Hey Mr. Welcome to The Sporah Show. Please tell us, Who is Geoffrey. GEOFFREY SEMAGANDA - Is a Business Entrepreneur, Speaker, Author and Philanthropist, who runs a global business training and consultancy firm that helps companies around the world run more efficiently, productively and profitably. He is the founder of Action Wealth a company that invests in Real Estate, Clean Energy, Publishing, Information Technology and Education. Geoffrey is a spokes person of his own foundation Action Wealth Youth & Water Development Program, as well supporting other projects like Give Blood UK and Distribution of Mosquito Nets in Africa. He has appeared on numerous TV and radio shows all around the world and has educated more than 500,000 people through his business consultancy courses and live seminars. Geoffrey started making a profit at the age of nine to support his family during the war in his home country of Uganda. He moved to Europe as teenager and by the age of 21 he had established five successful businesses in three countries. Today he often shares the stage with some of the best business and motivational speakers in the world. His is the author of “How to Start Your Business the Right Way”, “50 Profitable Businesses to Run from Home”, “The Action Wealth System” and his latest book “Lead In Your Chosen Field As A Super Successful Business Consultant. HERE IS MY BOOK SPORAH..! Lead in your chosen field as a super successful business consultant. What else do you have for The Sporah Show Geoffrey ? AND What is that Geoffrey? This is Uganda Convention UK Magazine. What is UGANDA CONVENTION UK? YOU DON'T KNOW ABOUT UGANDA CONVENTION UK..!!!..?? Okay so, tell us what is UGANDA CONVENTION UK? Uganda Convention UK’s vision is to harness the tremendous skills, expertise and knowledgebase of the Ugandan Diaspora with a view to promote socio-economic and infrastructural development back in Uganda. Uganda Convention provide a platform for exchanges of views and networking to Ugandan Diasporas on matters of common interest and concern to them. Also help the Government of Uganda to better understand and appreciate the expectations of Ugandan Diasporas community from the land of their ancestors and more importantly, acknowledge the important role played by them in Uganda’s efforts to acquire its rightful place in the comity of nations. OOKAY..! So when is the next Uganda Convention? Thank you so much Geoffrey for your time. Hope to have you soon. DON'T MISS OUT THE SPORAH SHOW THIS MONDAY 10:30pm ON BEN TV: SKY184. 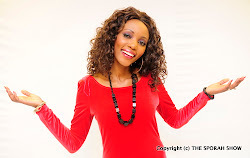 NEXT WAS INDEPENDENT BEAUTY CONSULTANT: FLORENCE CHAURURA. Thank you Sporah for having me HERE..! Tell us, WHO IS FLORENCE. Florence is a self-styled business woman with no limiting beliefs. I want to live my life in a way that when I finally leave this universe someone will stand up and say "she cared enough to bring out the best in me" I promise to live my life like a glue that binds broken souls. I feel I am emotionally intelligent to be able to give a sensitive and yet attentive ear!Are you looking for more than just a catalyst to superficial change? Do you want to find that perfect blend between self-confidence and professional success? Florence can help you do it! I love her make up. Thank you Florence for coming on The Sporah Show. 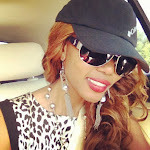 OOh leila is back, i had her song ft DJ Isack, its very nice. Nakupenda sana we mtoto. I WISH!!!!!!!!!!! Hi sporah, I love everything you’re doing! You’re a great rolemodel for teens like me! YOU HAVE TO COME TO 9JA SPORAH 'LL PAY THE TICKET FOR YOU, PLEASE CHECK YOUR EMAILS.